Alperovitz and Lew Daly, Unjust Deserts: How the Rich Are Taking Our Common Inheritance (New Press, 2008). Bollier, David, This Land Is Our Land: The Fight to Reclaim the Commons [DVD] (Northampton, Massachusetts: Media Education Foundation, 2010). De Angelis, Massimo, Omni Sunt Communia: On the Commons and the Transformation to Postcapitalism (Zed Books, 2017). Frank, Robert, One Market Under God: Extreme Capitalism, Market Populism and the End of Economic Democracy (New York: Doubleday, 2000). Fried, Barbara H. The Progressive Assault of Laissez Faire: Robert Hale and the First Law and Economics Movement (Cambridge, MA: Harvard University Press, 1998). Hardt, Michael and Antonio Negri, Commonwealth (Harvard University Press, 2009). Harvey, David, A Brief History of Neoliberalism (Oxford University Press, 2005). Heller, Michael,The Gridlock Economy: How Too Much Ownership Wrecks Markets, Stops Innovation and Costs Lives (Basic Books, 2008). Fried, Barbara H., The Progressive Assault of Laissez Faire: Robert Hale and the First Law and Economics Movement (Cambridge, Mass. : Harvard University Press, 1998). Kuttner, Robert, Everything For Sale: The Virtues and Limits of Markets (Knopf, 1997). Lane, Robert E., The Loss of Happiness in Market Democracies (New Haven, CT: Yale University Press, 2000). 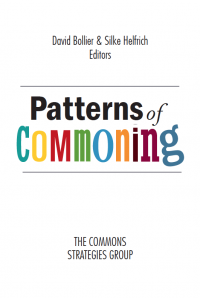 Nomini, Donald, editor, The Global Idea of ‘the Commons’ (New York, NY: Berghahn Books, 2007). Olson, Mancur, The Logic of Collective Action: Public Goods and the Theory of Groups (Cambridge, MA: Harvard University Press, 1965). Patel, Raj, The Value of Nothing: How to Reshape Market Society and Redefine Democracy (New York, NY: Picador, 2009). Penalver, Eduardo Moises and Sonia K. Katyal, Property Outlaws: How Squatters, Pirates and Protesters Improve the Law of Ownership (New Haven, Connecticut: Yale University Press, 2010). Radin, Margaret Jane, Contested Commodities (Cambridge, Mass. : Harvard University Press, 1996). Reid, Herbert and Betsy Taylor, Recovering the Commons: Democracy, Place and Global Justice (Urbana, Illinois: University of Illinois Press, 2010). Rose, Carol M., Property and Persuasion: Essays on the History, Theory and Rhetoric of Ownership (Boulder, Colo: Westview Press, 1994). Schroyer, Trent, Beyond Western Economics: Remembering Other Economic Cultures (New York, NY: Routledge, 2009). Singer, Joseph William, Entitlement: The Paradoxes of Property (Yale University Press, 2000). Stevenson, Glenn, Common Property Economics (New York, NY: Cambridge University Press, 1991). Sulston, John and Georgina Ferry, The Common Thread: A Story of Science, Politics, Ethics and the Human Genome (Washington, D.C.: John Henry Press, 2002). Wachtel, Paul L., The Poverty of Affluence: A Psychological Portrait of the American Way of Life (Philadelphia, PA: New Society Publishers, 1999). Walljasper, Jay, All That We Share (New York, NY: New Press, 2011). Washburn, Jennifer, Univesity Inc: The Corporate Corruption of Higher Education (New York, NY: Basic Books, 2005). Cahn, Edgar, and Jonathan Rowe, Time Dollars (Emmaus, Pa.: Rodale Press, 1992). Ecologist magazine, Whose Common Future? 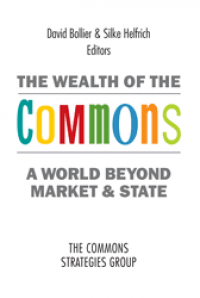 Reclaiming the Commons (New Society Publishers, 1993). Hardt, Michael and Antonio Negri, Commonwealth (Cambridge, Massachusetts: Harvard University Press, 2009). Kropotkin, Peter, Mutual Aid: A Factor of Evolution (Boston: Porter Sargent Publishers/ Extending Horizons Books, reprint of 1914 edition). Linn, Karl, Building Commons and Community (Oakland, California: New Village Press, 2007). Mauss, Marcel, The Gift: Forms and Functions of Exchange in Archaic Societies (New York, Norton, 1967). Shuman, Michael H., Going Local: Creating Self-Reliant Communities in a Global Age(New York: Routledge, 2000). Alexander, Gregory S. Commodity and Propriety: Competing Visions of Property in American Legal Thought, 1776-1970 (Chicago: University of Chicago Press, 1997). Federici, Silvia,Caliban and the Witch: Women, the Body and Primitive Accumulation (Brooklyn, NY: Autonomedia, 2004). Hill, Christopher, The World Turned Upside Down: Radical Ideas During the English Revolution (Penguin, 1972). Hyde, Lewis, Common as Air: Revolution, Imagination and Ownership (Farrar Strauss, 2010). Linebaugh, Peter,The Magna Carta Manifesto: Liberties and Commons for All (University of California Press, 2008). -------- and Marcus Rediker, The Many-Headed Hydra: The Hiddne History of the Revolutionary Atlantic (Verso, 2000). Polanyi, Karl, The Great Transformation: The Political and Economic Origins of Our Time (Boston: Beacon Press, 1944, 1957). Aigrain, Philippe, Cause Commune: L’information entre bien commun et propriete (Paris, France: Fayard, 2005). ------ , The Penguin and the Leviathan: The Triumph of Cooperation Over Self-Interest (Crown Business, 2010). Behan, Richard W., Plundered Promise: Capitalism, Politics and the Fate of the Federal Lands (Washington, D.C.: Island Press, 2001). Bollier, David, Silent Theft: The Private Plunder of Our Common Wealth (New York, NY: Routledge, 2002). 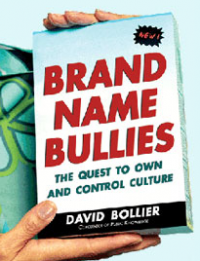 ------ , Brand Name Bullies: The Quest to Own and Control Culture (John Wiley & Sons, 2005). 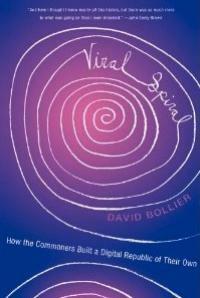 ------ , Viral Spiral: How the Commoners Built a Digital Republic of Their Own (New Press, 2009). Boyle, James Boyle, James, Shamans, Software and Spleens: Law and the Construction of the Information Society (Cambridge, Mass. : Harvard University Press, 1996). ------ , editor, The Public Domain, a collection of essays from the Duke Conference on the Public Domain, November 2001, published in 66 Law and Contemporary Problems, vol. 1 and 2 (Winter/Spring 2003). ------ , The Public Domain: Enclosing the Commons of the Mind (New Haven, Connecticut: Yale University Press, 2008). Brown, Michael F., Who Owns Native Culture (Harvard University Press, 2003). Coombe, Rosemary J., The Cultural Life of Intellectual Properties: Authorship, Appropriation and the Law (Durham, NC: Duke University Press, 1998). Fisher, William W., III, Promises to Keep: Technology, Law and the Future of Entertainment (Stanford, California: Stanford University Press, 2004). Ghosh, Rishab Aiyer, CODE: Collaborative Ownership and the Digital Economy (MIT Press, 2005). Hess, Charlotte, and Elinor Ostrom, editors, Understanding Knowledge as a Commons: From Theory to Practice (M.I.T. Press, 2007). Klemens, Ben, Math You Can’t Use: Patents, Copyright and Software (Washington, D.C.: Brookings Institution Press, 2006). Kranich, Nancy, The Information Commons: A Public Policy Report (New York, NY: Free Expression Project, Brennan Center for Justice, NYU School of Law, 2004). Krikorian, Gaelle and Amy Kapczynski, Access to Knowledge in the Age of Intellectual Property (New York, NY: Zone Books, 2010). ------ , Free Culture: How Big Media Uses Technology and the Law to Lock Down Culture and Control Creativity (New York: Penguin Press, 2004). Litman, Jessica, Digital Copyright (Amherst, NY: Prometheus, 2001). McSherry, Corynne, Who Owns Academic Work? Battling for Control over Intellectual Property (Cambridge, Massachusetts: Harvard University Press, 2001). Ostrom, Elinor and Charlotte Hess, Understanding Knowledge as a Commons: From Theory to Practice (Cambridge, Mass. : MIT Press, 2007). Patry, William, Moral Panics and the Copyright Wars (Oxford, England: Oxford University Press, 2009). Patterson, L. Ray and Stanley W. Lindberg, The Nature of Copyright: A Law of Users' Rights (Athens, GA: University of Georgia Press, 1991). Shulman, Seth, Owning the Future (Boston: Houghton Mifflin, 1999). Starr, Jerold M., Air Wars: The Fight to Reclaim Public Broadcasting (Boston: Beacon Press, 2000). Vaidhyanathan, Copyrights and Copywrongs: The Rise of Intellectual Property and How It Threatens Creativity (New York, NY: New York University Press, 2001). von Hippel, Eric, Democratizing Innovation (Cambridge, Mass. : MIT Press, 2006). Washburn, Jennifer, University, Inc: The Corporate Corruption of Higher Education (Basic Books, 2005). Weber, Steven, The Success of Open Source (Harvard University Press, 2004). Willinsky, John, The Access Principle: The Case for Open Access to Research and Scholarship (Cambridge, Mass. : MIT Press, 2006). Barlow, Maude, Blue Gold: The Global Water Crisis and the Commodification of the World’s Water [report], (San Francisco, Calif.: International Forum on Globalization, 1999). Barnes, Peter, Who Owns the Sky? Our Common Assets and the Future of Capitalism (Washington, D.C.: Island Press, 2001). Buck, Susan J., The Global Commons: An Introduction (Washington, D.C.: Island Press, 1998). 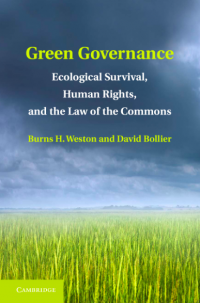 Burger, Joanna, Elinor Ostrom et al., Protecting the Commons: A Framework for Resource Management in the Americas (Washington, D.C.: Island Press, 2001). Cooper, Melinda, Life as Surplus: Biotechnology and Capitalism in the Neoliberal Era (University of Washington Press, 2008). Dolsak, Nives and Elinor Ostrom, The Commons in the New Millennium: Challenges and Adaptations (Cambridge, Mass. : MIT Press, 2003). Donahue, Brian, Reclaiming the Commons: Community Farms and Forests in a New England Town (New Haven, CT: Yale University Press, 1999). Ecologist magazine, Whose Common Future? 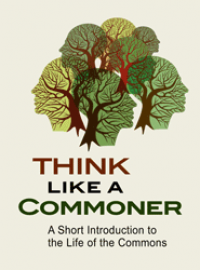 Reclaiming the Commons (Philadelphia, PA: New Society Publishers, 1993). Freyfogle, Eric T., The Land We Share: Private Property and the Common Good (Island Press, 2003). Hirt, Paul W., A Conspiracy of Optimism: Management of the National Forests Since World War Two (Lincoln, NE: University of Nebraska Press, 1994). Linklater, Andro, Owning the Earth: The Transforming History of Land Ownership (Bloomsbury, 2013). Mayer, Carl J. and George A. Riley, Public Domain, Private Dominion: A History of Public Mineral Policy in America (San Francisco, CA: Sierra Club Books, 1985). McKay, Bonnie J., and James M. Acheson, The Question of the Commons: The Culture and Ecology of Communal Resources (University of Arizona Press, 1987). National Research Council, The Drama of the Commons: Committee on the Human Dimensions of Global Change. Elinor Ostrom, Thoma Dietz et al. (Washington, D.C.: National Academy Press, 2002. Ostrom, Elinor, Governing the Commons: The Evolution of Institutes for Collective Action (Cambridge University Press, 1990). Power, Thomas Michael, Lost Landscapes and Failed Economies: The Search for a Value of Place (Washington, D.C.: Island Press, 1996). Shiva, Vandana, Biopiracy: The Plunder of Nature and Knowledge (Boston, Mass. : South End Press, 1997). Steinberg, Theodore, Slide Mountain, or the Folly of Owning Nature (Berkeley, CA: University of California Press, 1995). Waldby, Catherine and Robert Mitchell, Tissue Economies: Blood, Ogans andf Cell Lines in Late Capitalism (Duke University Press, 2006).